Whether for holding patents, trademarks, copyrights, or other kinds of intellectual property (IP), an offshore company is an ideal solution. Once the offshore company is established to hold intellectual property rights, it can then work with a group company formed as a licensee and based in a jurisdiction that enjoys lower taxation. 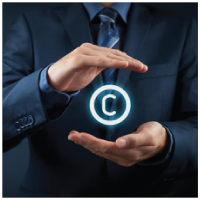 This licensee company would then sub-license or franchise the IP rights to companies around the world. If the set-up is well structured, then double taxation treaties can be used to reduce withholding taxes on royalty payments at the source, assuming that the licensee is not found in a jurisdiction that levies withholding taxes on royalties paid overseas. SFM works with Mauritius, Cyprus, Gibraltar, Malta, and the UK, which are all optimal jurisdictions for setting up a group company to act as licensee to the offshore company that holds the intellectual property rights. These jurisdictions have expansive networks of double taxation treaties, thus companies formed therein can enjoy substantially reduced withholding taxes on earned royalties. For instance, if a licensee company is formed in Cyprus and Cyprus has a double taxation treaty with the country from which the royalties are being paid, source withholding taxes on outward-bound royalties can be reduced to 0% to 10% as opposed to 25%. The outbound royalty fees then paid from the licensee group company to the offshore intellectual property holding company is not subject to a withholding tax, thus taxation at this stage can be completely eliminated. For example, royalties paid by a Mauritius licensee company are not subject to a withholding tax in Mauritius, and once paid to the offshore IP holding company, the income is not subject to taxation either as offshore jurisdictions enjoy tax-free environments. Confidentiality — a principal and understandable concern for those with intellectual property — is a further reason to choose an offshore company set-up. Many offshore jurisdictions do not have publicly accessible records of company ownership thus guaranteeing privacy, while the option of appointing a nominee director and/or shareholder, who can act on behalf of the beneficial owner, and whose name appears in the company’s corporate documents, is a further advantage for many concerned with the sharing of their personal details.